I am thinking-- what exactly are the differences between the Chrome and the Noir apart from the stickers? I have not played or even picked up either so am hoping that someone would enlighten me a bit about this. I feel interested to experiment with the Noir but am not sure whether I should instead be saving some money and getting the old Chrome instead. Thanks, guys. Just from looking at the images, it looks like the Noir is just a beefier version of the chrome. Other than that, the shape/sweet spot location seems identical. 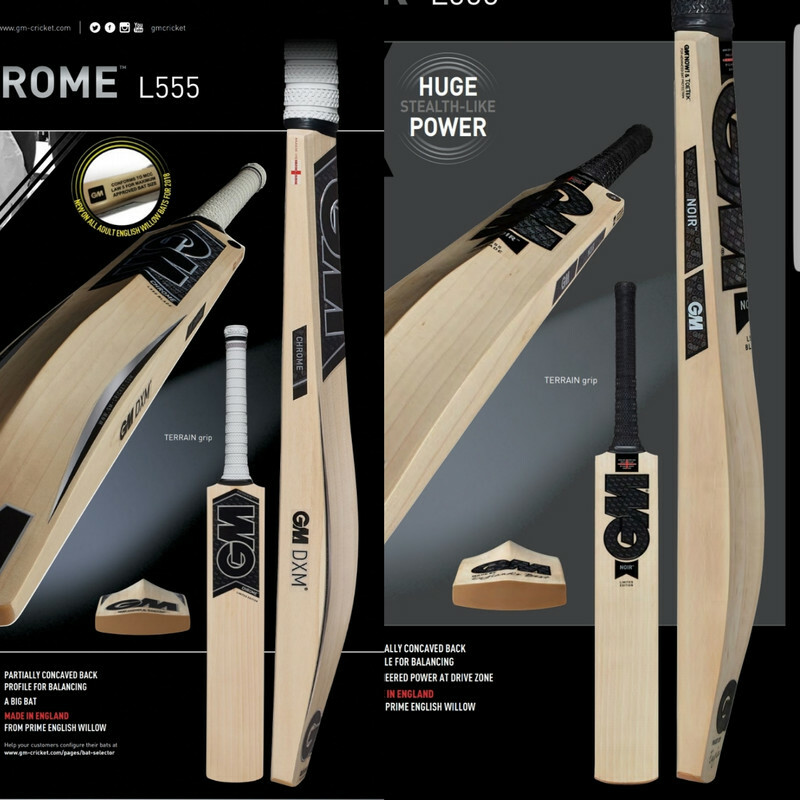 Noir has fractionally smaller spine if you compare the GM book of cricket from the two years. Presumably to make the edges look bigger. I did ask... but didn't really follow up on it. If anyone has access to last years catalogue, it may say the dimensions/ volume (albeit not the curvature, exact peak swell position etc). The2019 catalogue shows the Noir to have max edges of 38mm, max spine of 64mm and a volume of 2,274 cm3. Given the similarity from above, I suspect they will pick up in a very similar way (st the inevitable differences from bat to bat). 2018 v: 2283, e38, s:65. As I said, looks like a tiny bit off the peak spine and little else changed. Lower spine and removing those stickers on the back make the edge look a little larger. I personally go with whichever are the better individual bats rather than worry about stickers and BNG. I have to say if I am really nit picking then the Noirs feel a little chunkier than a Chrome... I've had a few Chromes and most had a smaller edge than the stated 38mm so they looked a little thin. If the Noirs are being made to stated 38mm edges then I think when combined with the other visual changes (marginally smaller spine and no back stickers) I can see why the Chrome and Noir would be perceived to be quite different, though they should be pretty identical in theory. The Chrome I currently have is just over a 39mm edge and a slightly lower spine so has the chunkier than every other Chrome I have had or seen. Even with GM's technology there is scope for a little bit of variation in shapes/ sizes. Page created in 0.68 seconds with 32 queries.